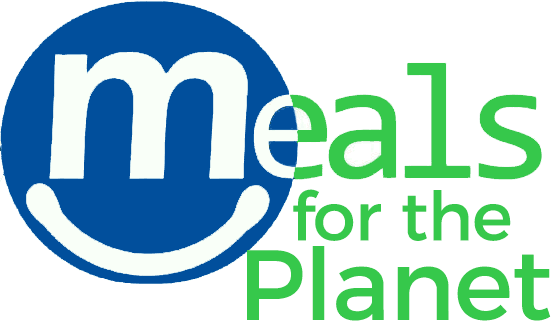 On this page you will find some of our favorite resources for plant-based recipes and information on the connections between food and the environment. First you’ll find links to some great cookbooks and books that will help you learn about environmentally beneficial lifestyle changes. Next, we have links to websites of some great vegan chefs followed by links to some amazing organizations that are helping animals and the environment. Here are just a few of our favorite plant-based cookbooks. Some of them present info on the connections between dietary choices and environmental impact. All of them present vegan recipes that will help you tread lightly on the Earth! Whether you’re newly transitioning to a plant-based diet, a long-time vegetarian looking for some new ideas, or a busy mom introducing Meatless Mondays to her family, you’ll find quick and easy recipes that will convert even the most reluctant to the delicious rewards of a plant-powered diet. Going meat- and dairy-free doesn’t mean deprivation; to the contrary, The Kind Diet introduces irresistibly delicious food that satisfies on every level―it even includes amazing desserts to keep the most stubborn sweet tooth happy. This definitive vegan and animal-friendly lifestyle guide, covers the basic tenets of Farm Sanctuary life–such as eating in harmony with your values, connecting with nature wherever you are, and reducing stress–and offers readers simple ways to incorporate these principles into their lives. If you’re a waffling vegan newbie, on-the-fence vegetarian, or veg-curious omnivore, this book will banish your doubts. You’ll find you can get enough protein, fit in at a potluck, learn to love cauliflower, and enjoy pizza, nachos, brownies, and more. Ten years ago a young Brooklyn chef was making a name for herself by dishing up amazing vegan meals—no fuss, no b.s., just easy, cheap, delicious food. Several books later, the punk rock priestess of all things tasty and animal-free returns to her roots—and we’re not just talking tubers. Forks Over Knives—the book, the film, the movement—is back again in a cookbook. The secret is out: If you want to lose weight, lower your cholesterol, avoid cancer, and prevent (or even reverse) type 2 diabetes and heart disease, the right food is your best medicine. These books will help you learn about the carbon footprint of activities in our daily life, and the broader environmental impacts of our dietary choices. Beyond what we already know about “food miles” and eating locally, the global food system is a major contributor to climate change, producing as much as one-third of greenhouse gas emissions. How we farm, what we eat, and how our food gets to the table all have an impact. Drawing a clear line connecting America’s factory farm system with disease, animal cruelty, and ecological crises, Diet for a New America awakened the conscience of a nation.